*Item may not be exactly as shown. This upholstered piece may have many different fabric choices for your home and may be shown differently in our showroom than as pictured on website, price will vary depending on fabric chosen. This online price may not reflect the price of the item with the options shown. The Golstone Reclining Living Room Group by Benchcraft at Virginia Furniture Market in the Rocky Mount, Roanoke, Lynchburg, Christiansburg, Blacksburg, Virginia area. Product availability may vary. Contact us for the most current availability on this product. 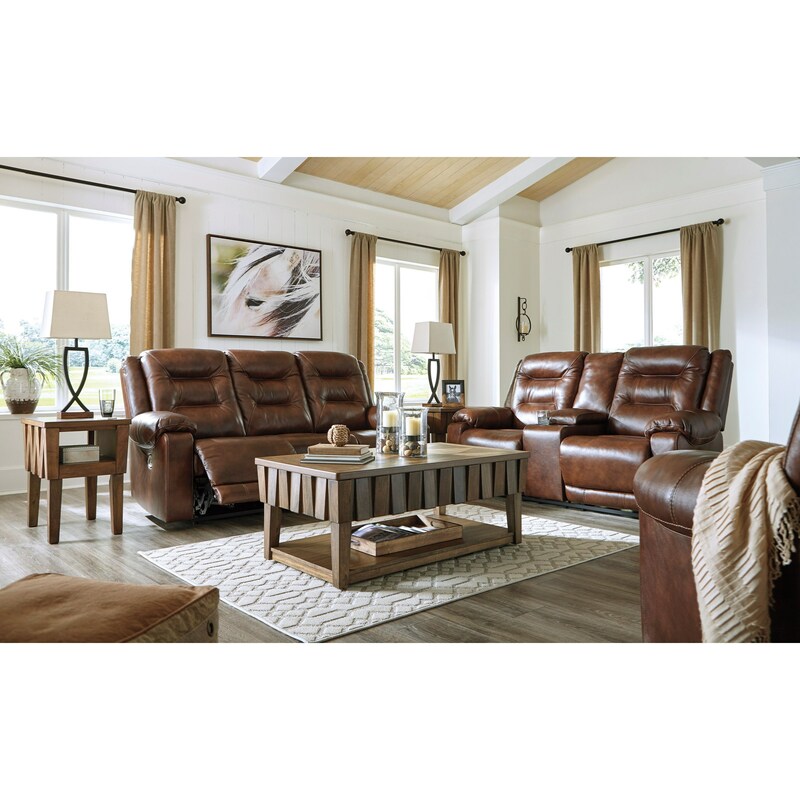 Update your entertainment space with your choice of pieces from this power reclining furniture collection. The Canyon brown leather match is both elegant and stylish. The Golstone collection is a great option if you are looking for Contemporary Casual furniture in the Rocky Mount, Roanoke, Lynchburg, Christiansburg, Blacksburg, Virginia area. Browse other items in the Golstone collection from Virginia Furniture Market in the Rocky Mount, Roanoke, Lynchburg, Christiansburg, Blacksburg, Virginia area.